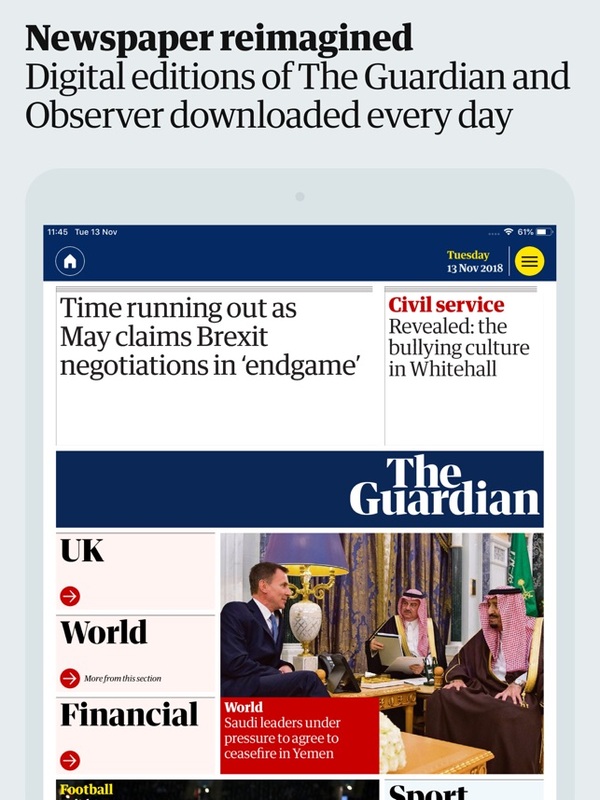 The Guardian and Observer Daily Edition app beautifully re-imagines the newspaper for the iPad. Each issue showcases our comprehensive international reporting, thoughtful commentary, award-winning sports journalism and unique approach to culture, science, the environment, media and technology coverage. Please note - while Apple's Family Sharing feature can be used to share apps between up to six family members, it does not support the sharing of in-app purchases (as described in https://support.apple.com/en-gb/HT203046). 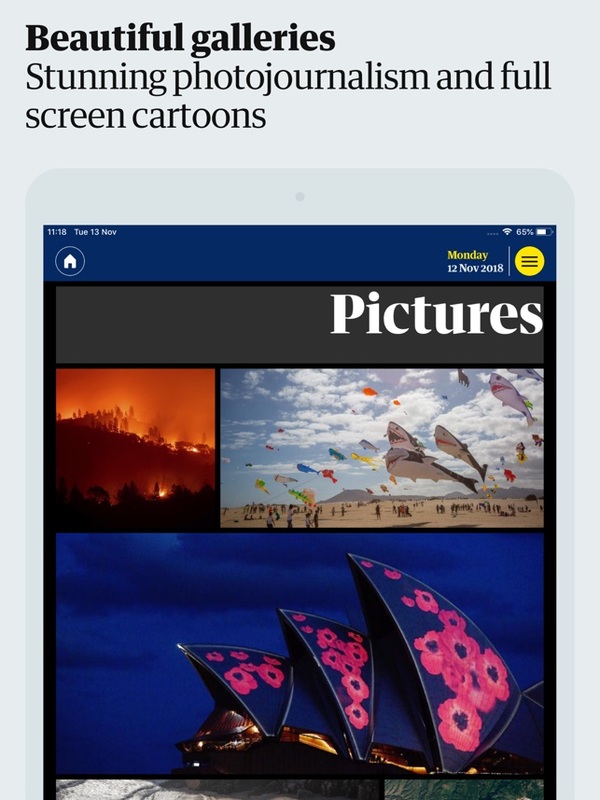 This includes the auto-renewable subscriptions to the Guardian and Observer offered within this app, and you will therefore not be able to share any subscriptions purchased via iTunes Store with family members. If you have any questions please email ipad@theguardian.com who will be able to advise you further. Some small behind-the-scenes changes to social sign-in. 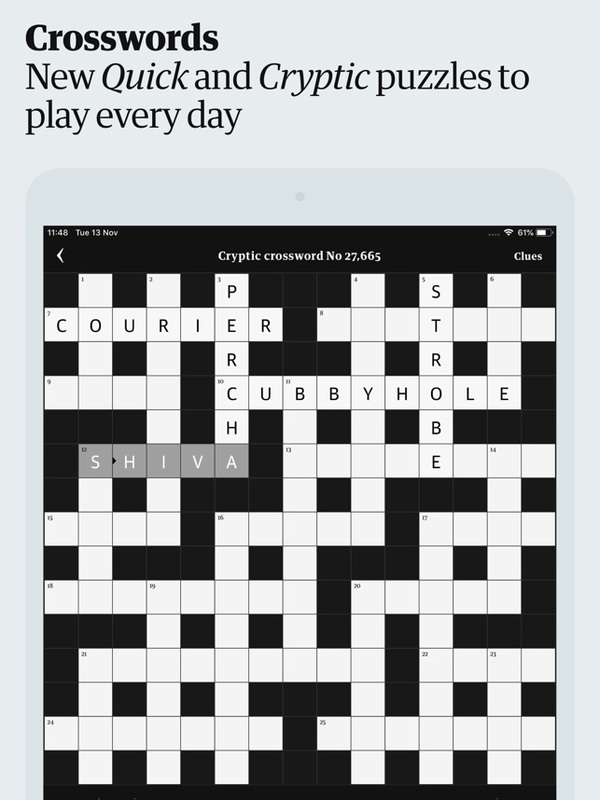 I used to use the Guardian app. It's a fine thing but inevitably suffers from the social-media malaise which is eating everyone's minds: there are comments to which you can contribute so you spend half your life arguing with trolls, and you can select what you want to see, so you only see what you want to see. The daily edition has none of this: it's just the paper, without the piles of old copies you need to recycle. That's a great advantage. It would be nice if there was a single subscription/membership tier which got you both the interactive, commenty thing (which I still use via the web) and this, but that may be against Apple's rules. - A toggle switch for turning the online links on and off. Reason?this will help those of us who have come to the daily edition in an attempt to reduce screen addiction. 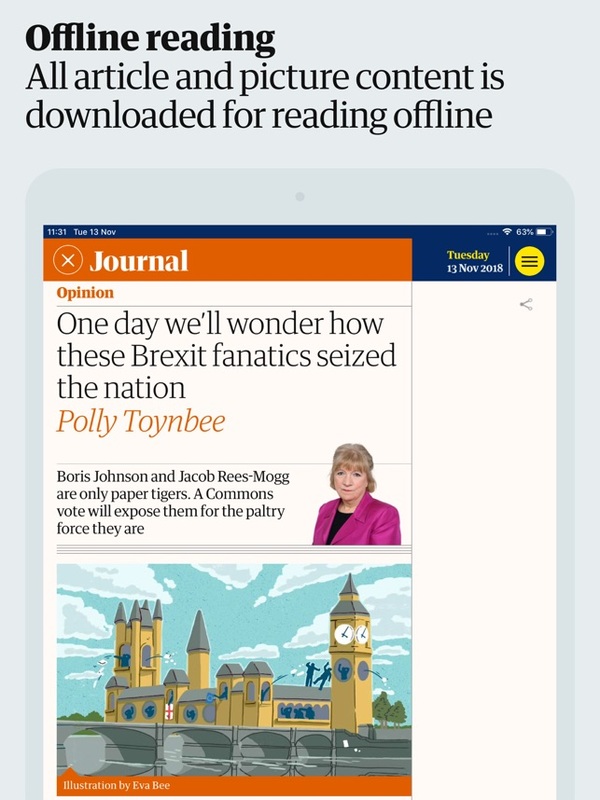 The online Guardian is quite addictive as it is being continually updated which makes us always hungry to check online - not good for our mental health! With your online guardian links, I have found myself clicking them and this gets me back in the online Guardian with comments and constant updating ie. too addictive for those of us experiencing screen addiction. - A way to make articles fill the screen at the touch of a button. Reason? I have to fiddle around to resize each article to make it fill the screen. This may be more of a problem on iPad mini as this has the smallest screen. - A way to save articles at the touch of a button. This is possible in the online app but not in the daily edition. For me content is 5 stars. App at the moment three stars but would give it five stars with these suggested improvements! 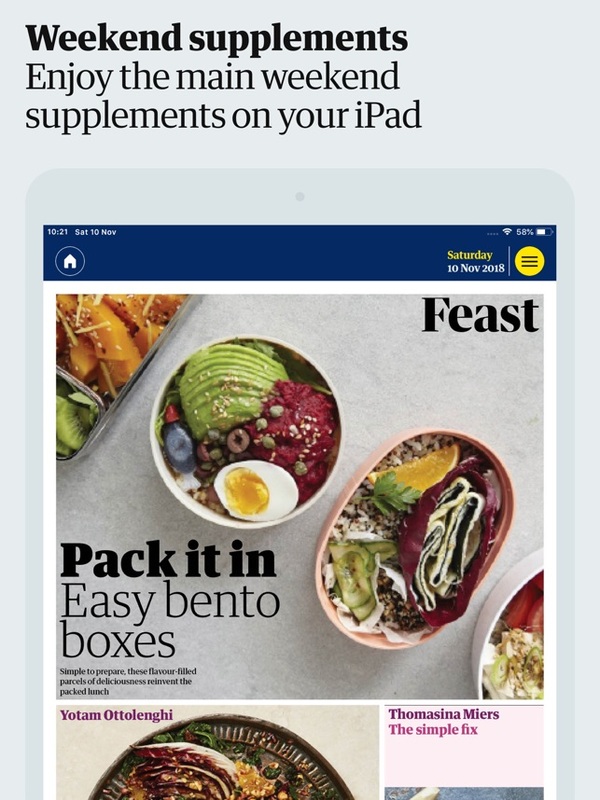 iPad app is so much better than the normal Guardian app - much more like reading a paper so I have been really happy to subscribe. Unfortunately, I now use my iPhone X everywhere, but this app cannot be downloaded on it.....I have been told that the format would not work but surely, if the developers comment that the format is for iPad but allow it on an iPhone, it is up to the user to choose whether they are fine with it? This means that I am going to stop using the app and stop subscribing which I am rather sad about. I bought the Saturday Guardian in a newsagent yesterday - a retrograde step! © 2017, Guardian News & Media Limited or its affiliated companies. All rights reserved.